The lunch "hour" may be a concept of the past, new research from staffing firm OfficeTeam suggests. More than half of workers (56 percent) said their typical lunch break lasts 30 minutes or less. Besides eating, respondents said they most frequently surf the internet or social media (52 percent), followed by catching up on personal calls or emails (51 percent). That's up from 27 percent and 25 percent, respectively, from a 2014 survey. 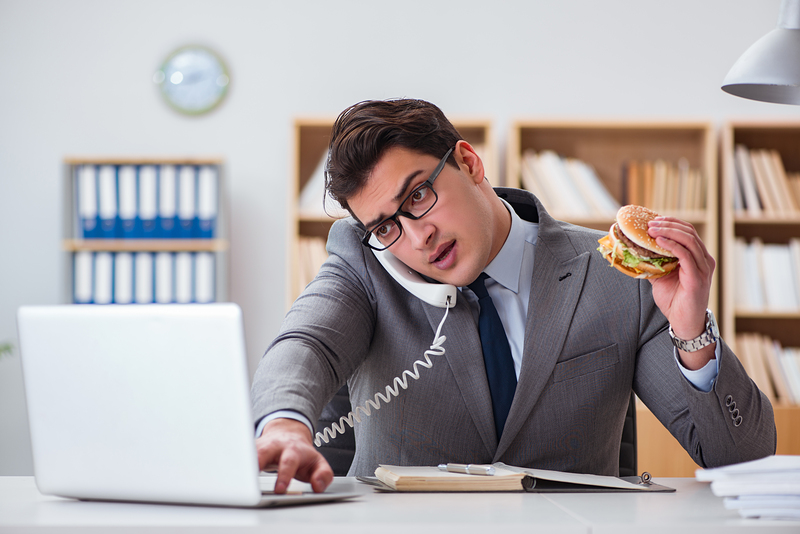 "Even if only 30 minutes or less are available due to workloads or company guidelines, professionals should try to maximize lunch breaks to relax and recharge a bit," said Brandi Britton, district president for OfficeTeam. "These days, people are quick to turn to their mobile devices to pass the time, but it can be a nice change of pace and good for relationship building to eat with colleagues." Have a well-balanced meal. Don't skip what a midday break is intended for: eating. Choose nutritious foods that provide energy for the rest of the day.